Dr. Mayo holds a Ph.D. in Exercise Physiology and is a registered dietitian (RD). He is an associate professor and has published close to 50 articles in lay and scientific journals regarding various aspects of fitness and nutrition. Also, Dr. Mayo has been quoted in magazines such as Men’s Health and US Weekly. He has done ultramarathons, he qualified for the Boston Marathon and he has finished 10 Ironman triathlons. He knows what it takes to use nutrition and apply it directly to putting miles on the road. 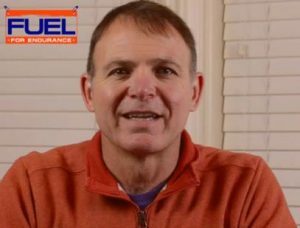 Visit www.fuelforendurance.com to read his blogs and see his products and programs. Listen to his interview on race day nutrition planning and making sure you get enough protein to prevent running injuries. Kim Schwabenbauer is a nutritionist and a PRO triathlete who has won female Ironman triathlon titles. Follow her blog fuelyourpassion.net, where she periodicaly writes about different topics and you may learn more about the Fuel Your Passion Endurance Coaching and Nutrition Counseling. Listen to her interview on Nutrition Assessments for Runners and Enjoying the Holiday Season Without Guilt. A Runner’s Mind is Doc On the Run’s #1 recommended running shoe store. He recommends his patients seek the expertise and advice from the knowledgeable staff at A Runner’s Mind whenever making decisions about which new running shoes will fit their unique biomechanics and running style best. Store locations in San Francisco, Burlingame, and Lafayette. 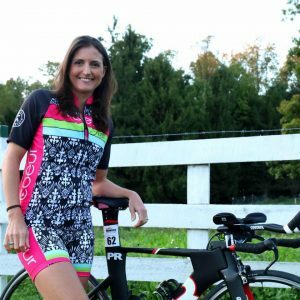 Felicity Joyce specializes in coaching 70.3 and Ironman athletes, who have a taste for triathlon and want to step up in distance or who have completed the longer distances but now want to now “compete” and race. Contact Felicity now and take the next step on your journey. Listen to her interview on injury, recovery and racing.